This book charts how the cartographies of American literature as an institutional category have varied radically across different times and places. Arguing that American literature was consolidated as a distinctively nationalist entity only in the wake of the U.S. Civil War, Paul Giles identifies this formation as extending until the beginning of the Reagan presidency in 1981. He contrasts this with the more amorphous boundaries of American culture in the eighteenth century, and with ways in which conditions of globalization at the turn of the twenty-first century have reconfigured the parameters of the subject. In light of these fluctuating conceptions of space, Giles suggests new ways of understanding the shifting territory of American literary history. ranging from Cotton Mather to David Foster Wallace, and from Henry Wadsworth Longfellow to Zora Neale Hurston. Giles considers why European medievalism and Native American prehistory were crucial to classic nineteenth-century authors such as Emerson, Hawthorne, and Melville. He discusses how twentieth-century technological innovations, such as air travel, affected representations of the national domain in the texts of F. Scott Fitzgerald and Gertrude Stein. And he analyzes how regional projections of the South and the Pacific Northwest helped to shape the work of writers such as William Gilmore Simms, Jose Marti, Elizabeth Bishop, and William Gibson. 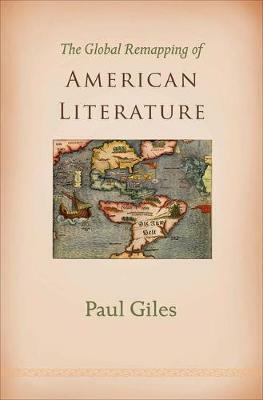 Bringing together literary analysis, political history, and cultural geography, The Global Remapping of American Literature reorients the subject for the transnational era.